tsl-timing.com at WI. Home :: Timing Solutions Ltd. 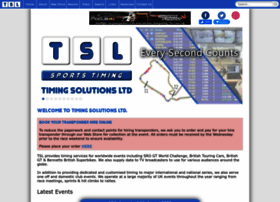 Timing Solutions Limited provide timing services for British motor racing series including British Touring Cars & British Superbikes as well as TV graphics.